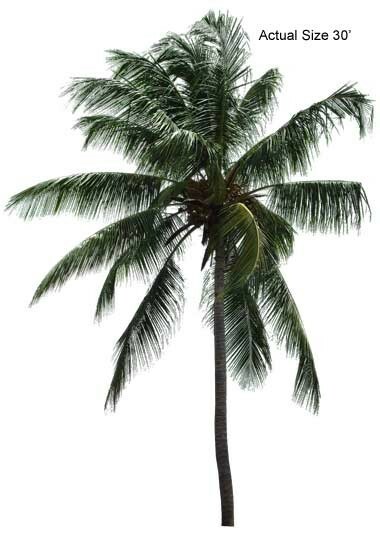 The Malayan Coconut Palm tree (Cocos nucifera) is in a league of its own. Whether you have vacationed, will vacation, or dream of vacationing anywhere near a beach, you will see the Malayan Coconut Palm everywhere you go. The origin of the Malayan Coconut Palm is unknown but is thought to come from parts of Southeast Asia. Its one of the most beautiful palm trees to be seen during a sunset or sunrise. The Malayan Coconut is not only awesomely beautiful, but it’s also useful. When mature, the Malayan Coconut produces coconuts for actual consumption and nutrition. Some people say coconut water is miracle water for the body. 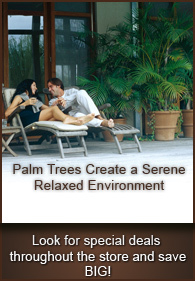 Also, the Malayan Coconut provides just the right size of shade and also provides a great place for a hammock. So just imagine yourself drinking your own coconut water, from your own Malayan Coconut Palm tree, underneath its shade, while swinging on a hammock.